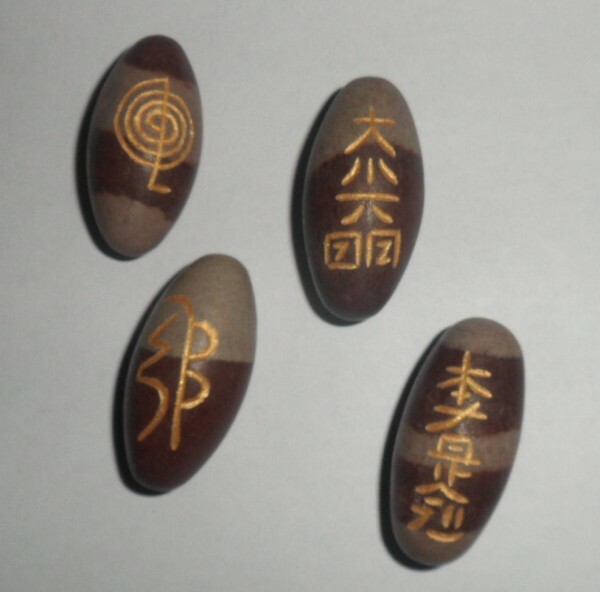 Set of Four (4) Sacred Shiva Lingam Usui Reiki Eggs. Each egg has its own unique reiki symbol. The stones in these sets measure approx. 1 1/2 - 2 inches long. The Shiva Lingham stone is from the Narmada River in India. To improve your overall health these stones are powerful as they stimulate the energy system of the entire body, and will aid an overall improvement in your health and wellbeing. The stone as a whole recognizes that they are one, yet they are each a separate entity within the one. Please Note: As these sell in my retail store this set will not be the set you receive, but you will receive a set very similar.